Feels like grinding lately. Between daily quests and trying for rares it gets repetitive. My custom character is nearing level cap on all classes, so I'd probably have to consider making another char soon. Either that or the level cap will be expanded soon. Then I get to go back and play all my chars again. I might want to make level 90 gear for that as well. I don't think I actually made any ruins gear though I would like to. I've been running a lot of temple share, and the new Dajirlan missions. 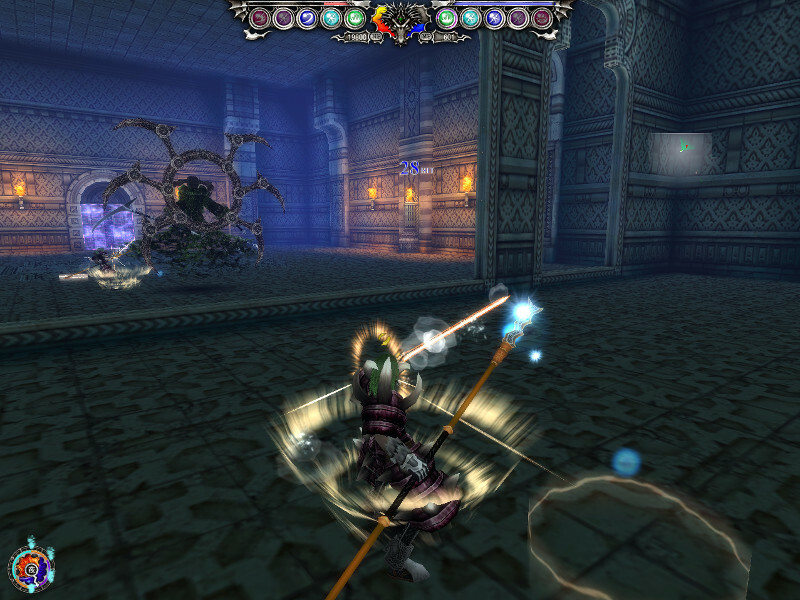 First screenshot is a Dajirlan boss that's completely invisible - you can only see him in the mirror covering one wall. Since coin drops are hugely increased, high level missions generate tons of money. I feel like this should be toned down because one temple run nets around 7 million bero. I usually am quite reserved with my money spending but because of this I'm buying a lot more fragments, proofs, sealed crystals etc. I've started putting simple special titles on a lot of weapons I wouldn't normally use fragments for, like making zenshin 1 non-share unique weapons for offhand and such. The fragments are usually pretty cheap so I can end up doing this for 10m buying both fragments.